Do You Have What it Takes to Succeed at Making a Change? 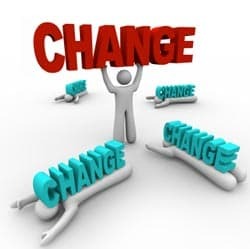 at Making a Significant Change? Change can be difficult as it makes us feel uncomfortable and requires persistence and commitment. It can make us rush back to our old habits or comforts when the going gets tough. So if you’re considering making an important step forward with the help of Free At Last Hypnosis then please read this article first. There are people who are more likely to succeed in making significant changes in their lives than other people. By significant changes I mean examples such as those who want to lose a lot of weight – 50+ pounds or more – or those who want to stop smoking. The question for you to answer is… are you one of these people? They expect to succeed. There is no sense going into the process they’ll probably fail because they’ve failed at everything else. People who expect to succeed believe they will achieve the outcomes they desire. They don’t let setbacks derail them. Making life style changes is rarely a smooth path. There are speed bumps and distractions along the way and plenty of opportunities to get knocked down and spend time in pity city and play the victim. The people that succeed are those that focus on where they want to be rather than where they’re at. They take personal responsibility for their actions and don’t look to blame others. A hypnotherapist cannot make you do anything you don’t want to do. In my virtual gastric band weight loss program there are rules you agree to adhere to, and if you do you’ll lose weight, and if you don’t… you won’t. People who approach their goal in a positive way and believe they’re worthy of success, take full responsibility for following through and doing what they’re asked to do to be successful. People who are unsuccessful at making significant life style changes exhibit the opposite traits along with others. They have little confidence in their ability to succeed and expect to fail. Because they don’t believe in themselves it infests their thoughts and guarantees negative outcomes. For these people success is an accident and not something they feel they control. Blamers always have a reason for not achieving their goals and it’s never their fault. By focusing on what others did to stop them succeeding then they’re not responsible for the outcome. Blamers tend to surrounded themselves with similar friends who rarely see the problem as themselves. The over analytical dissects every process to understand rather than trusting in the process and going with the flow that has worked for others. These are the most difficult people to relax and allow the power of the subconscious mind to work for them, and consequently don’t make ideal candidates for therapeutic hypnosis. I do have smokers who after their stop smoking session never have any cravings to smoke again. But the more typical success is those who diligently follow the program afterward and deal with cravings with the tools provided in the session. This is true of weight loss clients as well. Making life style changes requires persistence and commitment and willingness to learn. It’s a fact most people who win the lottery jackpot lose it all within 5 years. And many people undergoing weight loss surgery gain back much of their weight within two years. These people never learned how to outgrow habits and beliefs limiting them financially or confining them to a life of unhealthy eating and obesity. Hypnosis has altered the lives of many individuals who were open for learning and ready for significant change,* and all you’ve got to ask yourself now is… are you ready for change? If you are then welcome to Free At Last Hypnosis and enjoy the journey – it’s life changing.